Over the last three years, the rise of VR in public discourse has been impossible to ignore. During this time, most mainstream discussions have centered on the same few efforts in the US : Oculus, Valve/HTC, Sony, Samsung, and Google. But there’s something just as important going on roughly 7,000 miles west of San Francisco. Anjney leads KPCB Edge as Founding Partner, and focuses on Virtual Reality and Drones & Aerospace companies. 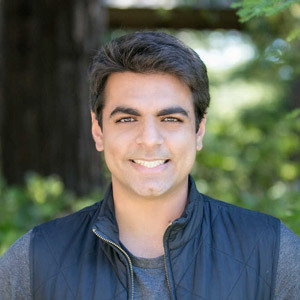 Before founding Edge, Anjney was the youngest partner at Kleiner Perkins Caufield & Byers, and was closely involved with the firm’s investments in RelateIQ (acquired by Salesforce), Ayasdi, Magic Leap, Enjoy, and True Caller, where he is a board observer. Anjney pursued undergraduate and graduate degrees at Stanford, and is on a leave of absence from the Biomedical Informatics department at the Stanford School of Medicine. Anjney enjoys flying microlight planes and modding quadcopters.